This is a sponsored article on behalf of Westfield. Walk on water at the zorbing pool this summer. 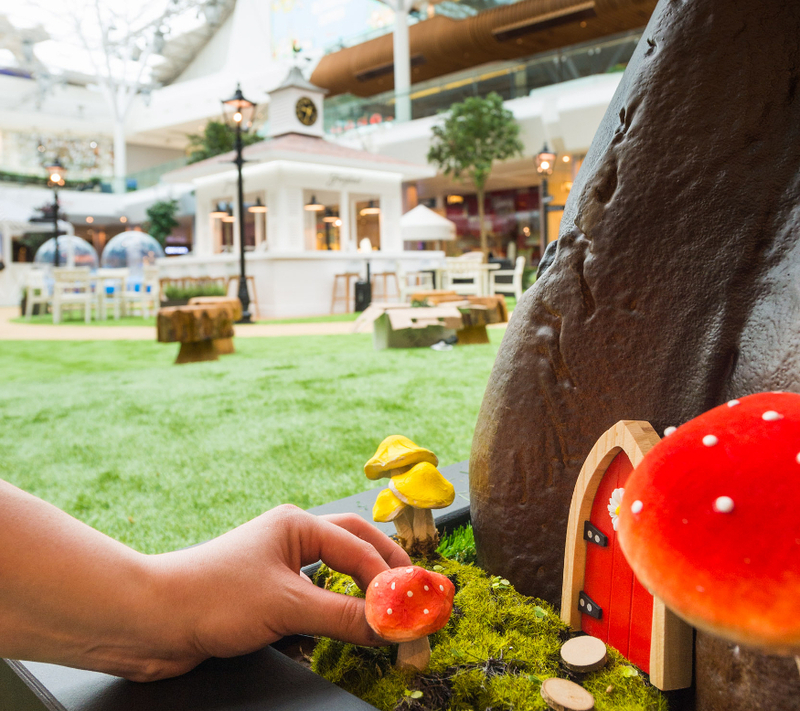 Don't worry about the vagaries of the British climate this summer — there's 'weather-proof' parks with plenty of activities to discover at Westfield London and Westfield Stratford City. Leave the umbrella at home and make for the grassy havens, where you'll get a taste of the Caribbean, in partnership with Barbados — including rum tastings, domino competitions, flower arranging, face painting, hair braiding and the quintessential ice cream. Relax in the pop up parks, safe in the knowledge that you won't need your umbrella. 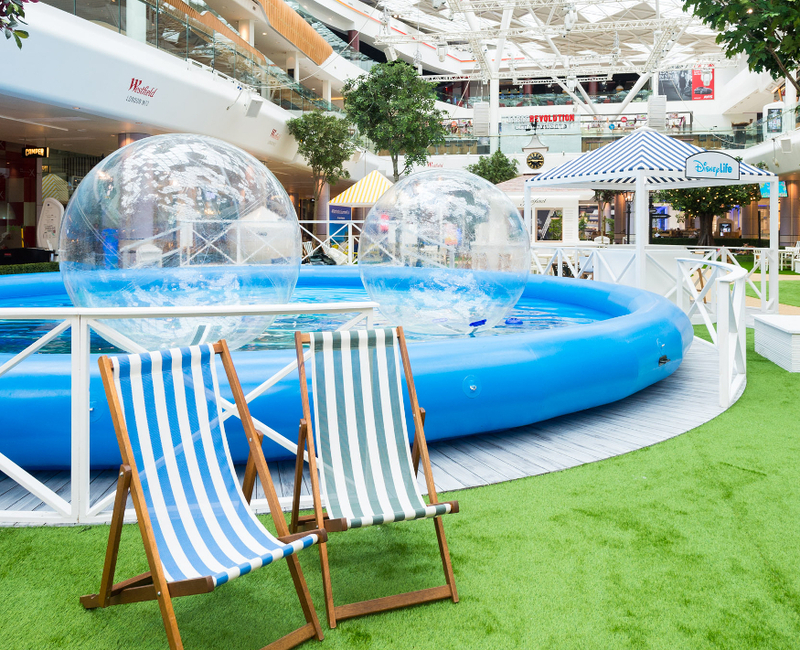 Relax under the pop-up parks' real trees, safe in the knowledge that with a roof over your head you'll be able to try the zorb pool where you can 'walk on water' from the safety of your zorb, or take part in the many activities without fear of getting rained on. From 29 July to 11 August, head to Westfield London where fashion-conscious sports brand Lululemon will be hosting Vinyasa Flow yoga classes. After that you'll need a refresher, so Coco Face coconut water stalls will be serving their popular summer products. Or head to the Freixenet Ice Cava Bar to try the latest thing from Barcelona, a refreshing sparkling wine with a slight sweeter taste — perfect over ice. Cool off with a glass of bubbly at the Freixenet Ice Cava Bar. Kitbox, Unilever’s social enterprise that provides unique opportunities for students will be giving out a selection of ice cream treats so you can keep the kids happy — and you too. At Westfield Stratford City the park arrives on 22 August, and prior to this there'll be a carnival-style event with many different types of dance to try your feet at; plus a GIF booth, story-telling, followed by varying markets and the perfect summer treat — a barbecue event with Levi Roots. Don't worry about the weather this summer — enjoy the great indoors. 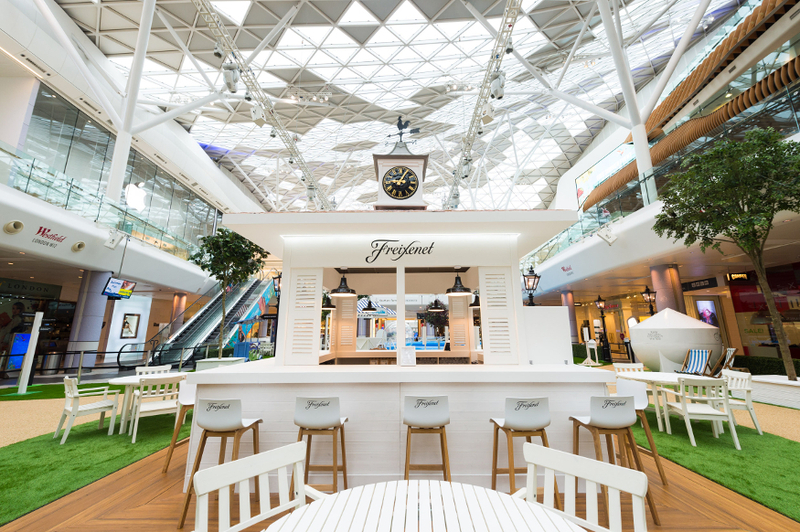 Events take place at Westfield London from 29 July-11 August; and Westfield Stratford City from 22 August-4 September.